An inspiring guide to the history of art and its contributions to civilization. The story of great art is the story of humankind, as one does not exist without the other. For as long as people have been communicating, they have been creating art–from ancient cave paintings to Renaissance statues to modern installations. 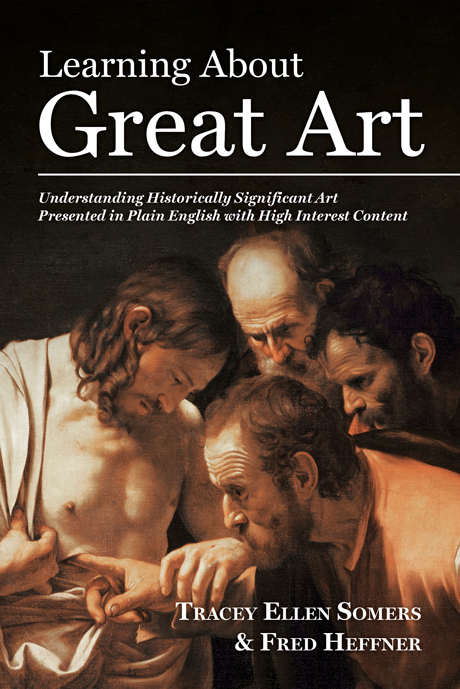 Learning About Great Art tells this story through notable examples from art history. Explore the human side of extraordinary paintings, sculptures, and architecture. Uncover the influences that shaped artists’ work through the ages. Learn how to “read” paintings to decipher their true meaning. And discover your own passion for art. This is a book for everyone–no academic experience necessary. It is written in plain English and filled to the brim with colorful examples. Art knows no boundaries, and the authors believe its enjoyment should be open to all who are interested. Tracey Ellen Somers is the mother of four young children living and schooling in New Jersey. She has a master’s degree in psychology and an undergraduate degree from Boston University with a major in psychology and a minor in art history. As her primary interest lies in education, she enjoys teaching art courses for children through community libraries. Fred Heffner has had a lifetime interest in teaching art history and art appreciation courses in adult education programs. To maintain fiscal viability, he has taught for more than 35 years in high schools and colleges, but presenting adult continuing education courses has been his overriding interest. His approach to great art is diametrically opposed to that of essentially all other art books. He is interested in talking to adults about what appreciating great visual arts means in terms of sustaining our culture, and how they can understand great art through the study of high interest paintings with commentaries written in plain English. Fred has a D.Ed. degree. He is the grandfather of Tracey Ellen Somers.